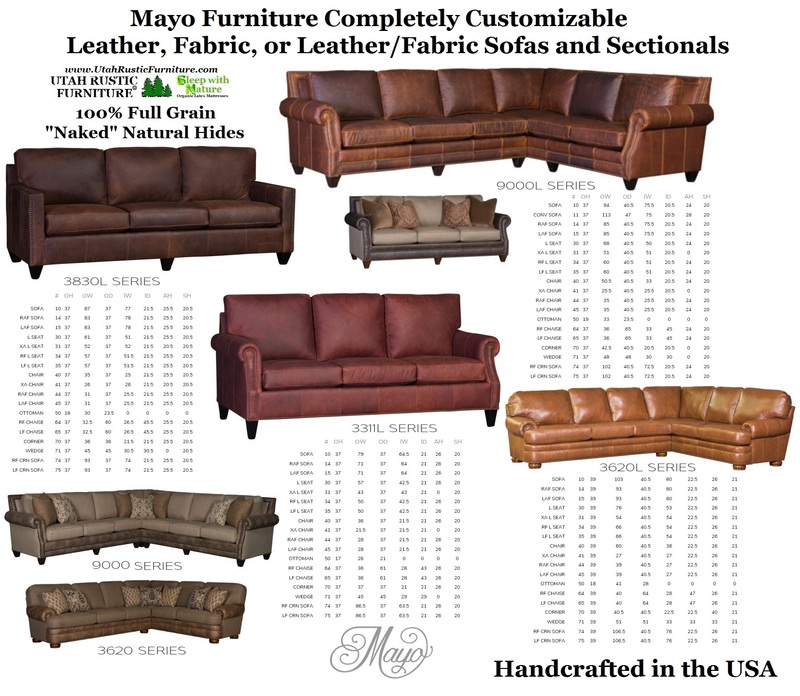 Mayo Furniture is built 100% in the United States with solid hardwood frames and features the highest quality customizable leather and fabric available on the market. 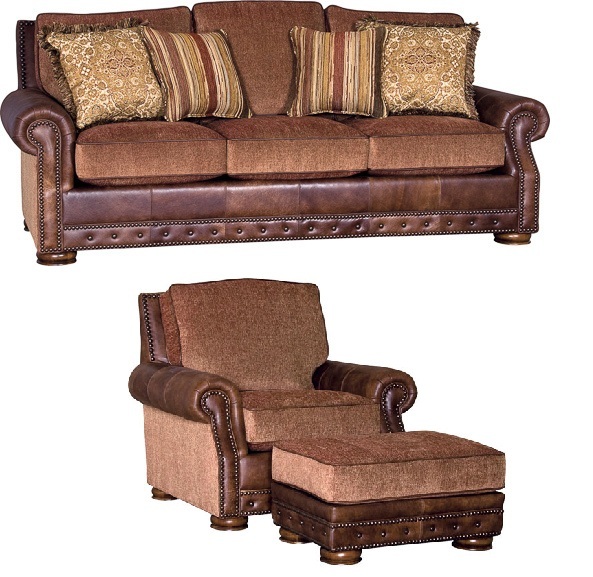 These collections are available in a number of leather and fabric color options and feature an extended warranty! First, choose from a number of popular frames (below are our best sellers) or visit Mayo's website for all current options and fabric/leather samples; www.mayofurniture.com. Then, choose all-leather, leather-fabric combo, or all-fabric material options. See below to select from a number of rustic or traditional fabrics and leathers. 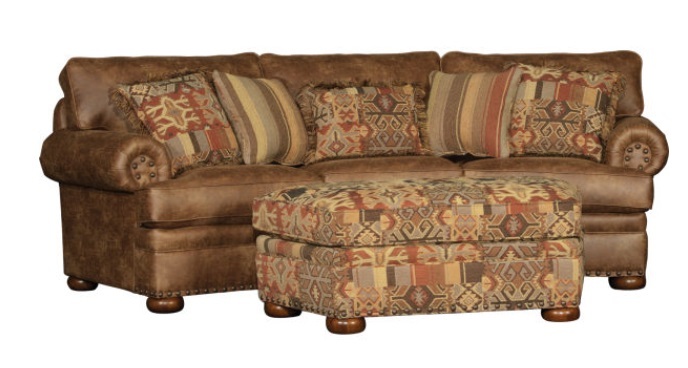 Finally, click this link to find the price on your selection: http://mayofurniture.com/MSRP - Once you have selected your style divide the price by 1.5 to get 33% off MSRP for our current sale price! (Add $50 for ottomans). We're happy to offer high quality leather sets for a third of Suggested Retail Pricing! Also, feel free to come down to our showroom to check out Mayo's exceptional quality or feel free to call with any questions or to request fabric samples. For all collection pieces, dimensions, fabric/leather options, and additional styles, visit www.mayofurniture.com or feel free to contact us by email at orders@utahrusticfurniture.com or phone at 801-484-1007. Available in over 40 different 100% Top Grain Leathers. Also avail. in a sectional. #3311L 100% Top Grain Vachetta Ruby Leather79"w Sofa MSRP $3649 Sale Pricing $227957"w Love MSRP $3469 Sale Pricing $2169 36"w Chair MSRP $2099 Sale Pricing $1299 26"x 21" Ottoman MSRP $999 Sale Pricing $679Available in over 40 different 100% Top Grain Leathers. Available with Down Feather Seating for an upcharge! Vagabond Brandy Leather Look Microfiber/Desiree Sand in a Married w/Pillows (Save $250 off the sofa and love) and a Sectional in both! 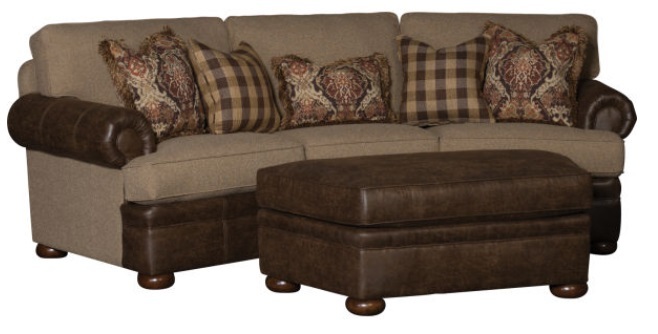 Also available in a Sectional!